The World Cup is now a closed chapter. This does however mean the beginning of a new and equally exciting chapter, with a new season just around the corner. 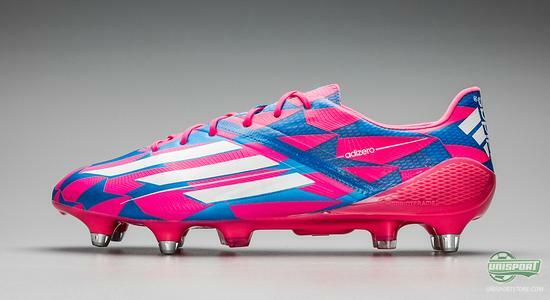 Adidas kick things off with a new round of colours on their four silo's with the Tribal Pack. We here take a look at the new F50 Adizero Pink/Blue. However instead of keeping the slightly more discrete black/white design, adidas have gone back to colour and this time the choice has been pink and blue. 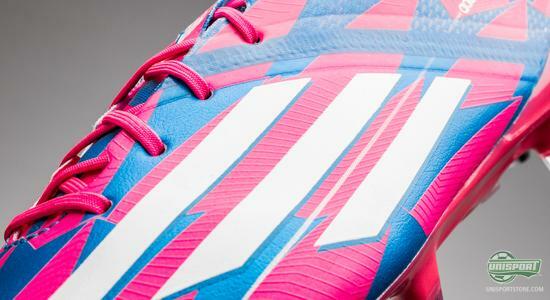 You can already now pre-order the new adidas F50 Adizero Neon Pink/Running White/Solar Blue now – just €219. The F50 has just finished a very impressive World Cup, where six out of the seven most scoring players wore the Adizero, among them Golden Boot winner James Rodriguez, who scored six times. Adidas therefore really underlined the fact that their lightweighter is not only a good boot, but also one of the very best boots for attackers. 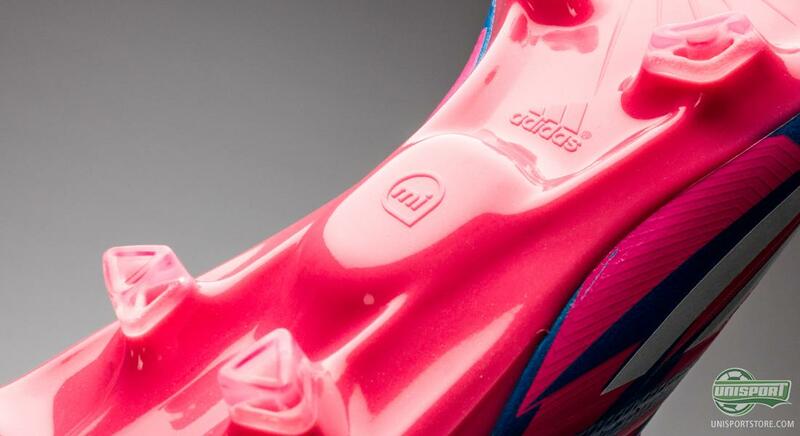 It is therefore no wonder that adidas have made no major changes to their F50 from their previous generation. 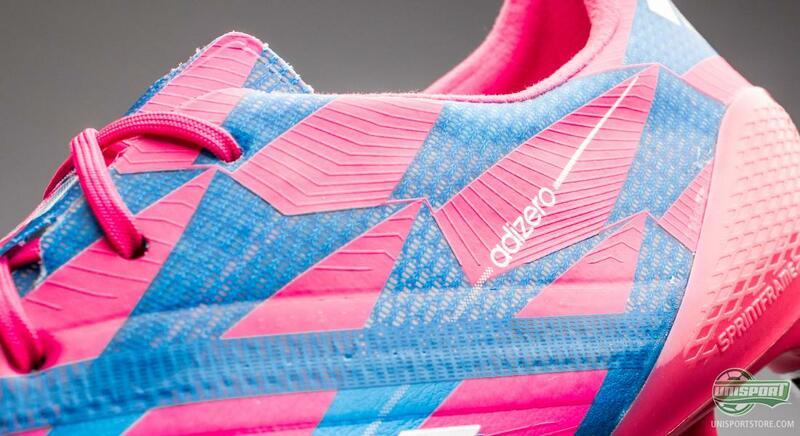 And no, it naturally isn't the boot that scores the goals, but there is still a good reason that Messi, van Persie, Robben and all the others have thrown their love towards the F50 Adizero. Because with this boot adidas have really managed to find an optimal combination of light weight, ball feel and speed. The upper is made from the thin, but very durable synthetic called Hybrid Touch, which can now be found on all of adidas' boots. The material has been especially developed to give a smooth upper that keeps the boots weight low. 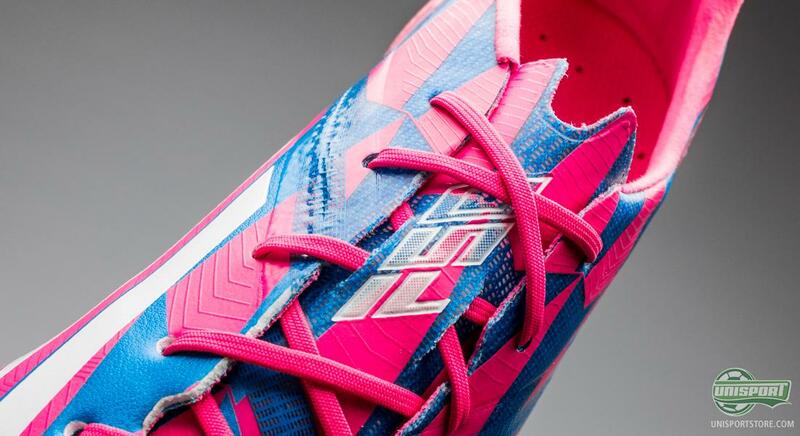 Another aspect that helps keep the weight to a minimum is the SpeedFoil around the heel. This technology comes from some of the worlds fastest speedboats and what better place to look, when trying to make a super fast boot? When he scored his second goal against Spain, Arjen Robben has measured to having a top speed of 37 km/h. 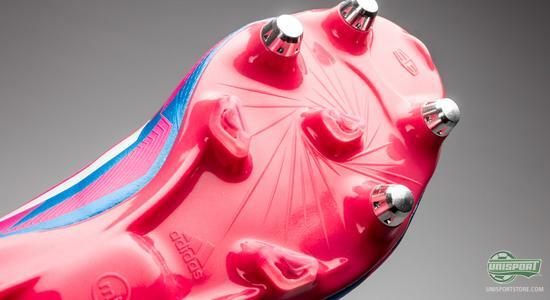 One of the things that have probably helped propel Robben forward is the sole and stud-configuration fitted on his boots. 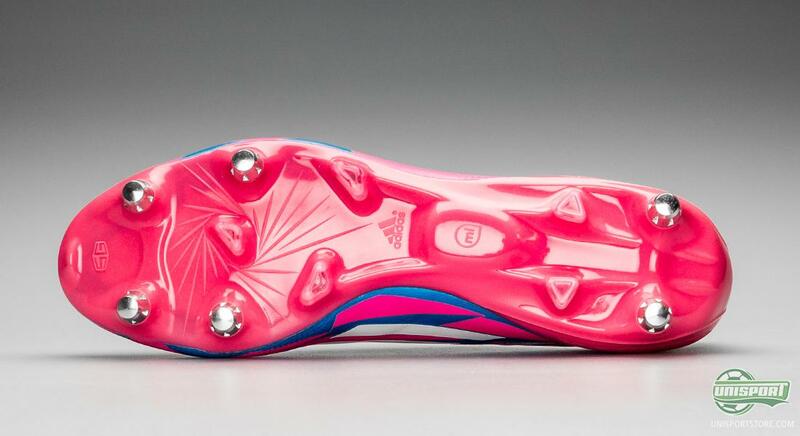 The sole is adidas' SpeedFrame, while the stud-configuration is the equally aptly named SpeedTraxion. 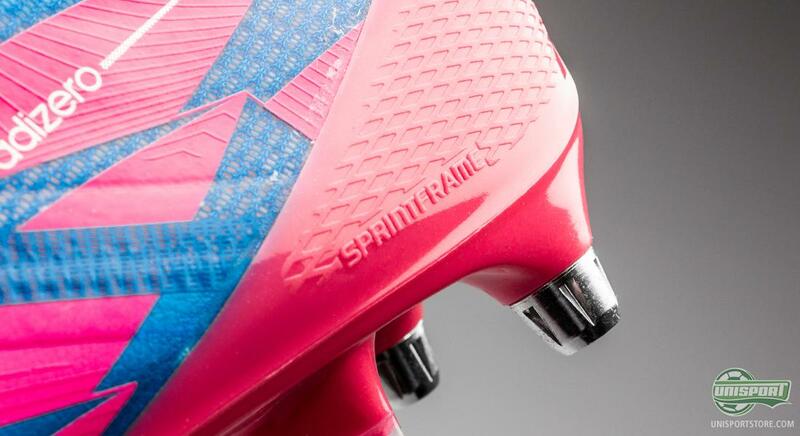 They are, as the names obviously imply, made with focus on acceleration, quick changes in direction and rotation. Acceleration was definitely something we saw from Robben in that impressive sprint. 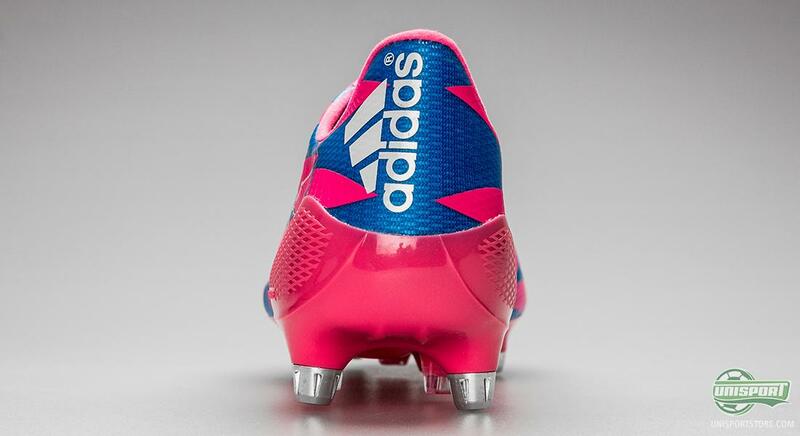 Funnily enough neither Robben of Robin van Persie wore the Battle Pack design during the World Cup. The question is, whether the two Dutch players simply didn't like the design, or if they maybe wanted the colours to match the kit. 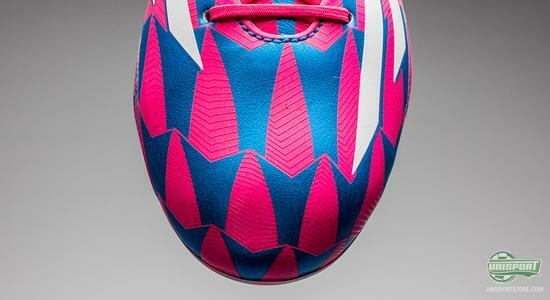 Either way it will be exciting to see if any of the two switch to this new colourway. 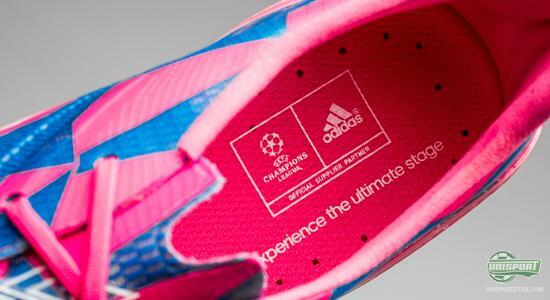 adidas have just capped off a very impressive World Cup. 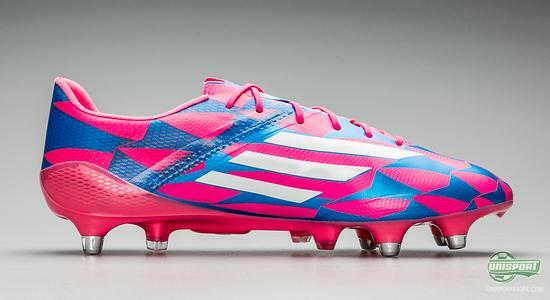 The winners of the Golden Ball, Golden Boot and Golden Glove came from the adidas family and the popular F50 Adizero was convincingly the most scoring boot. 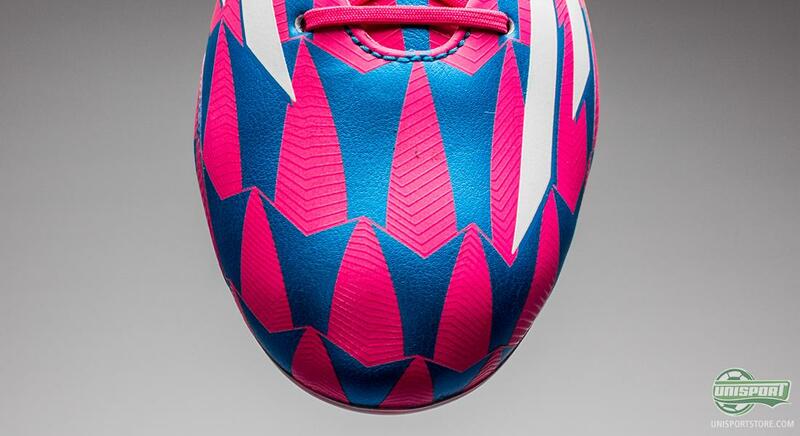 Now adidas hope to continue the success into next season, with the Tribal Pack that has the same pattern as the Battle Pack. What do you think about the combination of pink and blue?